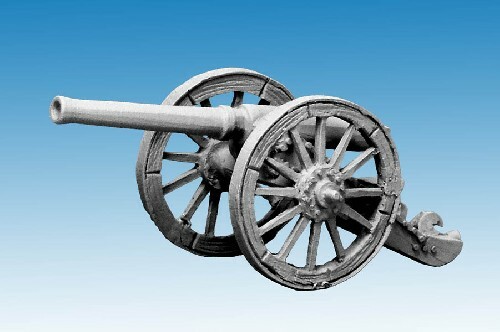 British RML 2.5 inch Mountain Gun, also known as the Screw Gun. The successor to the British 7 Pounder Mountain Gun, designed in 1879. Called the Screw Gun because it came in two parts for ease of travelling by Mules, the two parts screwing together when deployed. This is a metal model, supplied unpainted and needs glue to fix it together. Designed for use with 28mm sized figures. We supply the mountain gun with crew in the British South Africa Company section of our Africa! range.